This compact 60mm apochromatic refractor telescope from Tele Vue elegantly combines high-performance optics with convenient portability. 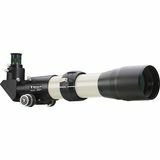 Its fine optics and f/6.0 focal ratio provides a 4.3-degree field of view useful for many applications. 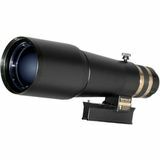 The 3.5" aperture apochromatic optics of the Tele Vue-85 refractor, combined with its light weight of 8 lbs., dual-speed 10:1 rack and pinion focuser, and deluxe accessories, makes it a wonderfully portable and versatile telescope.